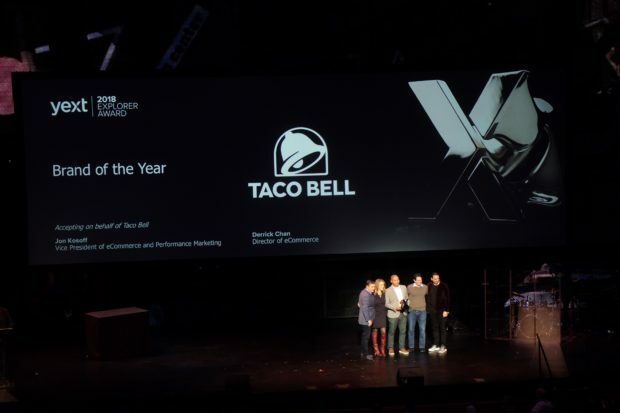 It was an honor accepting the Brand of the Year award at ONWARD 2018 on behalf of Taco Bell. It has been an absolute pleasure working with YEXT to optimize Taco Bell’s local search results. I’ve been able to work on SEO for the past 10 years and local SEO has been a strong focus for the last 5+ years. With the switch from PC to mobile, local SEO is only going to become more and more relevant. It’s been amazing being able to optimize local search for Taco Bell, a band with thousands of locations. So what is the ONWARD 2018 Brand Award? 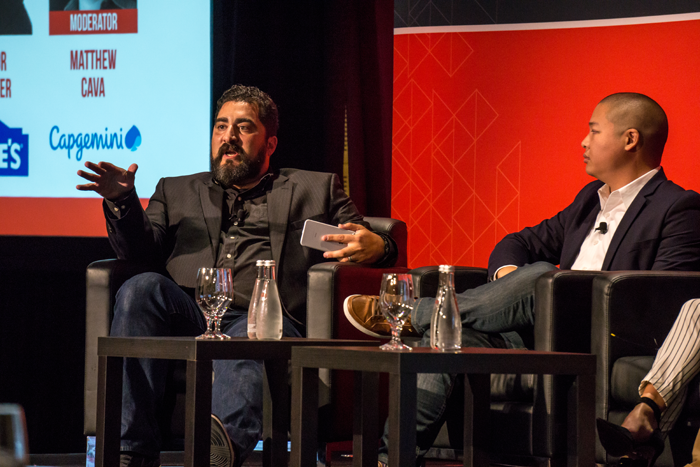 “The Brand of the Year is delivering consistent and accurate digital knowledge across discovery channels and AI-powered search and services. This brand provides a superior customer experience by being everywhere its customers are. 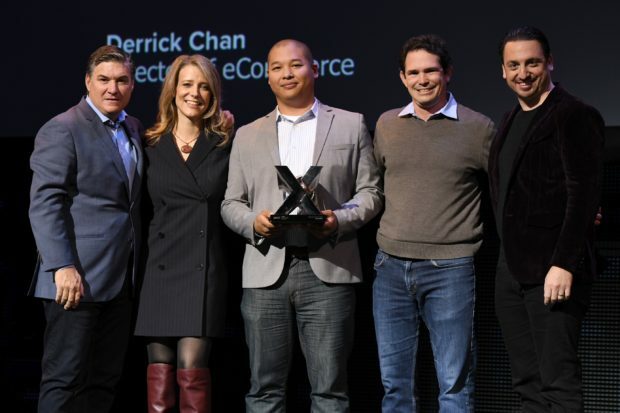 For more details check out the official YEXT announcement for all their winners. CDN: Content Delivery Network are localized servers that allow businesses to serve up content closer to the end user. Traditionally if you are hosting your website or web content in California, then no matter where a user is accessing your site the digital assets are loading from a California server. A CDN on the other hand allows you to host your website in California, but it allows you to save a cached (copy) version of your web assets on dozens, hundreds or even thousands of servers around the country. When a user hits your website from New York, your website assets are loading from a server geographically close to New York, results in a faster load time for the user and less stress on your main California based web server. CMS: Content Management System is an application that allows you to manage your website content without requiring the use of code. The most popular CMS on the market today is WordPress but there are many on the market, both free and paid. Most eCommerce platforms will also come out of the box with a basic CMS. CRM: Customer Relationships Management system refers to an application that manages customer data and all interactions made with that customer. Popular CRM systems include Salesforce, Zoho and SugarCRM. CRM systems allow business to track customer service tickets, refunds, phone calls, and all other attributes associated with a customer. ECommerce Platform: An eCommerce platform is an application that supports all necessary features to allow its owner to transact online. This includes product management, content management, customer management, promotion management, order management, inventory management, payment settings, shipping settings, tax logic and usually other settings as well. 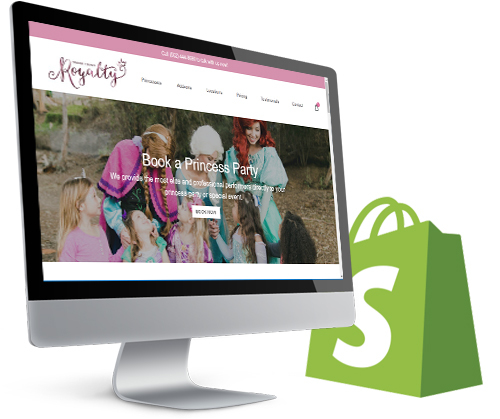 Today the most popular eCommerce platforms include Magento, Shopify and WooCommerce. Prices can range from $29 per month to millions of dollars. ERP: Enterprise Resource Planning systems are robust systems that allow large businesses to run their entire organization from one system. Basically an ERP is an accounting system, IMS, POS, CRM all in one. Popular ERP systems include Oracle, SAP, Microsoft Dynamics and Netsuite. Hosted vs. Self-Hosted: An eCommerce platform is either going to be self-hosted, meaning you basically get the source code and you have to host it yourself somewhere (e.g. RackSpace, AWS, etc.) or the platform will be a SaaS model where they host it for you and you pay a monthly hosting fee. Think of Self-Hosted as you are buying a house, so you can do whatever you want to the code because you own it vs. Hosted is like renting an apartment. You can usually change the look and feel (interior design) but you can’t really change the functionality because you don’t own the code. IMS: Inventory Management System are applications that keep track of warehouse inventory. IMS track inventory counts as well as inventory location. Advanced IMS can even track serialized inventory so they can track down a specific unit, not just a SKU. Merchant Account: A merchant account is just a bank account that accepts credit card payments. 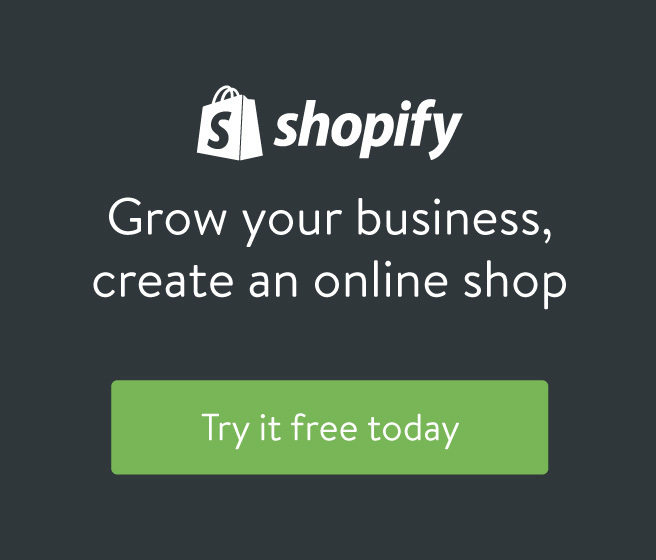 To support an eCommerce business you need both a merchant account and a payment gateway. Payment Gateway: A payment gateway is basically an online escrow accounts that acts as the middle man between the buyer and the seller. When a credit card is authorized the payment gateway verifies the buyer is the authorized user of that credit card and hit holds the funds so that credit cannot be used elsewhere until the transaction is complete. Once the payment is captured (charged) then the payment gateway withdraws the funds from the credit card and basically holds it in escrow for a short time. That way if there is an issue with the transaction the funds can be release back to the credit card. Once the transaction clears, the funds are then released to the sellers merchant account. This allows transactions and refunds to be more seamless, it is much harder to get a refund once the funds are already deposited into the sellers merchant account. Popular payment gateways include Authorize.net, Chase Paymentech, Stripe, First Data, etc.). 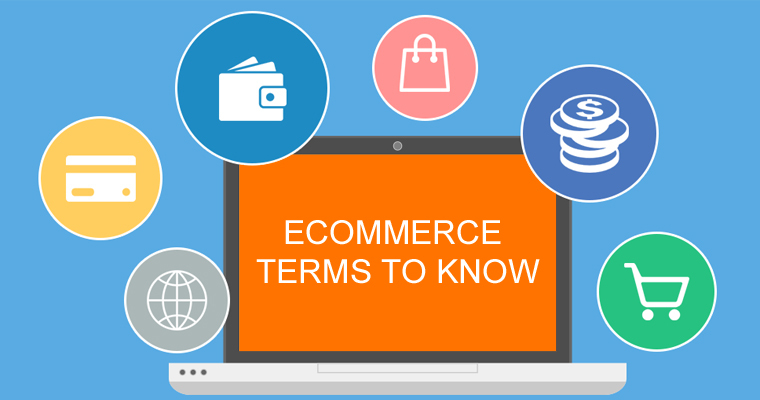 Payment gateways are usually one of the more confusing terms when dealing with understanding eCommerce terms. POS: Post of Sale systems is traditionally a cash register, but today it could just be a tablet with a card reader. It is basically the point where a customer will physically transact with a business. SaaS: Software as a service refers to any application that is used via online access, if you pay a monthly fee and you access the application through a browser you are using a SaaS product. Reductive/Faceted Navigation: Both terms refer to the feature where you allow users to filter products based on product attributes (e.g. price, rating, material, color, size or any other specific data point). An easy way to understand reductive/faceted navigation is when you land on an Amazon results page and you look at the left navigation, that is faceted navigation. This is extremely useful when you have a large product catalog and you have the data requires to power such a filtering system. Fuzzy Search: Another confusing term when understanding eCommerce terms, fuzzy search is a type of search algorithm that is smart enough to yield related search queries, even though they may not directly match the specific searched keywords. A traditional search tool usually looks at the exact keywords, then searches the website database to find those exact terms. Depending on the logic setup in the search tool, it might look at various attributes (e.g. title, description, category, specification, etc.) and whichever product/content has more matching results, that product/content is then brought higher in the search results. Fuzzy search works the same by but instead of just providing results that have exact matches, it will also find other results that have similar characteristics. For example, if you search for “shoes” a traditional search result would only show results that actually have “shoe” in the title, description, etc. In fuzzy search, a search for “shoes” would provide the same results, but in addition you might have results that match terms like “shoe, boots, flip slops, etc” because the fuzzy search engine is smart enough to realize that those other terms are found in product/content that also have the word “shoes” in it. Likewise it can do the same for miss spelled words. Both Google and Amazon both use Fuzzy search because it provides a more relevant search results list than traditional exact match search. Shopping Cart Abandonment: This feature refers to the ability to identify what items are left in a cart after a use leaves the site, then market to them that same item in the hopes to close the sale. This is usually done via email but you can also use SMS and push notifications. Some eCommerce platforms come with shopping cart abandonment functionality but there are also 3rd party systems you can use to take advantage of this feature. Personalized Shopping: Also known as personalization, personalized shopping refers to the functionality where an eCommerce platform supports customer segmentation and dynamic content display. This allows sellers to provided a personalized shopping experience to customers based on their behavior (e.g. what they’ve purchased or viewed) or based on user attributes (e.g. birthday, gender, traffic source, etc.). 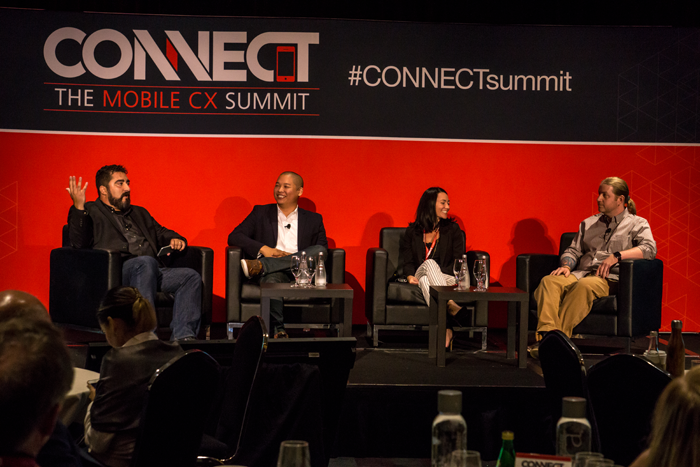 Having the ability to display relevant content to the right person has a huge impact on conversion. Magento Enterprise Edition is a good example of an eCommerce platform that comes with Personalized Shopping out of the box. 3PL: Third Party Logistics refers to using a 3rd party service provide to warehouse and fulfill orders. Perhaps the most well known 3PL would be Fulfillment By Amazon. Product Feed: A product feed is usually an XML format file that sends your product data (e.g. SKU, Title, Price, Image, URL, etc.) to a 3rd party site or advertising channel. This allows your products to show up and link back to your product pages. 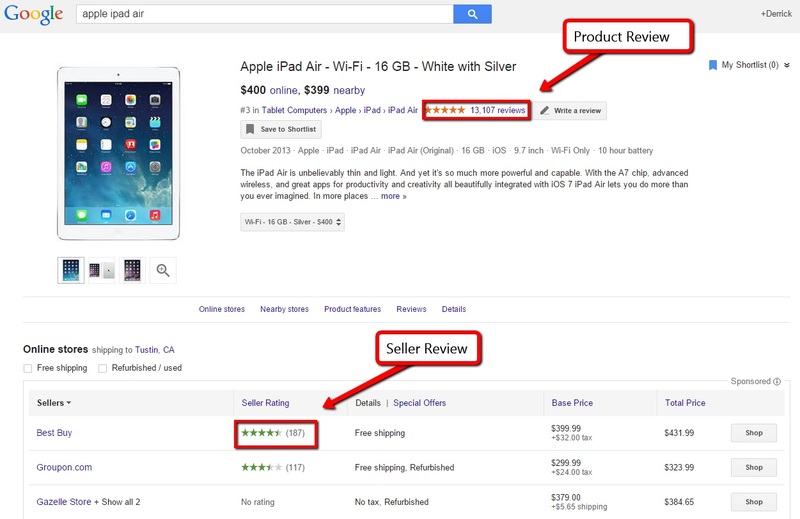 An example of a solution that would require a product feed is Google Shopping. Paid Search: Refers to online advertising that displays when a user searches for a term on a search engine like Google. The most popular form of Paid Search is Google AdWords, which is all the sponsored results you see when you do a Google search. CSE: Comparison Shopping Engine is an online directory that shows different products offered by various sellers in comparison to each other. Popular CSEs include Google Shopping, Price Grabber and Nextag. Marketplace: An online marketplace is a platform where multiple sellers can offer their products for sale but the platform acts as a mediator to ensure the transaction goes through. Popular marketplaces include Amazon Marketplace, ebay, Rakuten, Newegg, Sears and Walmart marketplace. SSL: Secure Socket Layer is the standard security technology for establishing an encrypted link between a web server and a browser. It basically means the information a user types into your site is secure. FTP: File Transfer Protocol is a form of transferring data from one server to another or from a server to a computer using files and folders. Similar to using Drop Box, you are either pushing data or pulling data to a specific folder destination. Many times FTP integrations are automated using Cron Jobs. Cron Job: A time based operation usually used when transferring data via API or FTP. Cron Jobs can be set to any increment of time. API: Application Programming Interface is a set of defined functions and methods for interfacing with the underlying operating system or another program or service running on the computer. Most SaaS based applications have an open API which allows other systems to integrate and push/pull data as needed. Many legacy systems don’t have an API, so they rely on more traditional forms of integration like FTP. As retailers gain more customers they inevitably demand lower costs from their suppliers to increase their own margins. Unfortunately the internet has made it more difficult to maintain a B2B business because consumers are now clicks away from ordering any product. Luckily, B2B sellers can also take advantage of the internet and sell directly to consumers. You might be wondering, how B2B business can switch to B2C eCommerce model. Minimum Advertised Price (MAP) pricing is when a B2B business sells to consumers at full retail value. This is the most transparent way where B2B clients know you are selling to consumers. They don’t feel threatened because you are selling at full retail whereas they can discount their items if they want to. This method works best for business that have a strong brand reputation both from consumers and resellers. In this approach you would use one website domain where B2B clients would have registered accounts that grant them access to special pricing and potentially products. Depending on the eCommerce platform you choose, you may be able to offer customer specific pricing as well as support advanced shipping logic based on B2B vs. B2C orders. For sellers that do not want their B2B clients to find out they are selling direct to consumers a flanker brand makes the most sense. A flanker brand is when a company creates a new brand to enter into the same existing market that they already service, but the new brand focuses on targeting a different set of customers (e.g. 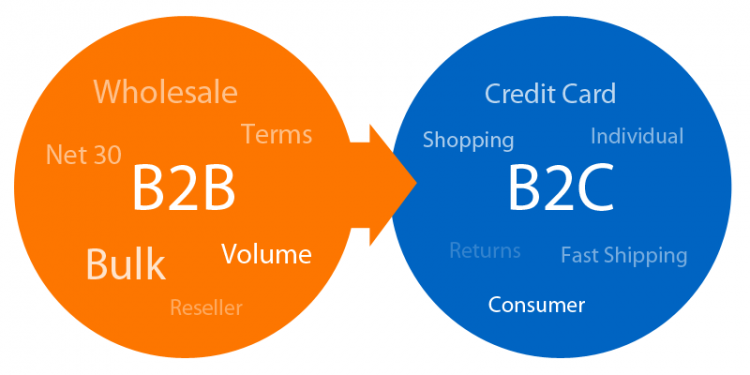 B2C instead of B2B). This way your B2B clients will just think the new flanker brand is another new competitor instead of their supplier. Creating a flanker brand can be tricky depending on how willing or unwilling a company is to getting caught by one of their B2B customers. For example, a true flanker brand would typically want to fulfill orders from a separate location. That way a B2B customers can’t look at the return address and realize it is actually shipping from the same address as their supplier. Flanker brands make a lot of sense when a business may have a strong brand reputation among B2B customers but not the general B2C consumer. I’ve had a good amount of experience running both types of eCommerce businesses. Neither is better than the other, they both have their pros and cons, it really just depends on the situation. If you want help converting your B2B business to a B2C eCommerce business (or a B2B and B2C eCommerce business), feel free to contact me. SEO has been around for many years now and most business owners understand they should care about SEO. However, a more recent trend is the term “Local SEO”, so how does Local SEO differ from traditional SEO? Understanding Local SEO starts with knowing the basic theory of traditional SEO. Most of these tasks are usually done once every so often, but things like page content should be optimized on a regular basis. Each of the above topics deserves its own blog post to even begin scratching the surface of SEO strategy, but the list should give you an idea of what work goes into on-site SEO. As the name suggests, off-site SEO refers to all tasks that can be done off of your own website to optimize your websites search engine ranking. Off-site SEO in the past typically meant one thing, building back links from other popular websites pointing back to your site. An analogy I like to use in explaining off-site SEO is thinking back to High School. Back in High School it doesn’t matter if you have a ton of unpopular kids talking about you, the only thing that would make you popular is having a few popular kids talk about you. Likewise, it doesn’t matter if you build thousands of back links from unknown websites that themselves don’t have high ranking. Yet, if you can get a few links from highly reputable top ranking sites, you instantly have search engine credibility. Traditional SEO is all about getting your web pages to rank on Google for specific keyword phrases. This means there are only ten spots for any given keyword phrase because it really only matters being on the first page of Google results. Local SEO is similar to traditional SEO, but it is search engine ranking at the local level. This has become more relevant in recent years because of the growing transition to mobile search. Most desktop browsers are starting to default to “near me” search results, assuming you have location services enabled (most are by default). Mobile devices on the other hand default to “near me” searches, even if you don’t add “near me” into your search query. This is a key factor to consider when understanding Local SEO because “Local SEO” really means “Mobile SEO”. Today, many websites have over 50% of their traffic coming from mobile devices, many are even over 70%. So how does Local SEO differ from traditional SEO? Like traditional SEO, Local SEO also can be broken down into on-site vs off-site SEO. On-site SEO is basically the same tasks, just optimize for local landing pages. This means setting up a “Locations” or “locator” page then building out individual landing pages for each of your business locations. If you have a physical store, then you will want a landing pages for each physical location. If you are a service provider then you will want at minimum one landing pages per city that you serve. This way your local landing page will rank higher for each of their respective locations. You can do this manually or you can leverage a third party service such as Yext or Rio SEO to automate this process. In addition to traditional back linking, off-site Local SEO also includes optimizing your business on the major location directories such as Google My Business, Bing Places for Business, Yelp, Facebook and many more. Step 1 is to setup or claim your locations as a business on each of these directories, then you have to optimize them for specific keyword phrases which can differ per location. Again, you can do this manually or you can leverage a third party service such as Yext or Rio SEO to automate this process. Who should care about Local SEO? If you have physical business locations or if you are a service provider that targets a specific geographic location, you should at least try understanding Local SEO. It is definitely a key factor in growing your business. Businesses that don’t serve a specific location are the only exceptions to the rule, such as Amazon or ebay. How do I optimize local SEO for my business? If you want to do it yourself, feel free to use the above check list as a starting point. I’ve spent the last 9 years mastering SEO, so just know it does take time to learn and execute. If you want to expedite this process, hire a SEO expert that understands both traditional SEO and Local SEO. Hire a SEO Expert Now! But what does this mean to an eCommerce professional? Product Reviews help with SEO as well as on-site conversion (assuming you have good reviews) whereas Seller Reviews help in credibility and differentiating yourself from your competitors. Seller Reviews also help with local SEO, which matters if you have retail establishments. We base seller ratings on a number of source, including. I hope you’ve found this helpful, if you have any questions feel free to post a comment below. There are already a ton of posts out there talking about the new Google Mobile-Friendly update which is going live on April 21, 2015. If you want to read full details on this update you can check it out on the official Google Webmaster Blog. What I want to discuss in this post is what does this mean and what your options are to meet the new mobile-friendly requirements. So what does this update mean? This new update is going to have a huge impact on any website that relies on mobile organic search and mobile ads. This is not going to impacts your overall SEO from a PC search perspective. Bottom line, if more than 10% of your traffic is coming from mobile devices, then you should get your site updated to be mobile friendly. 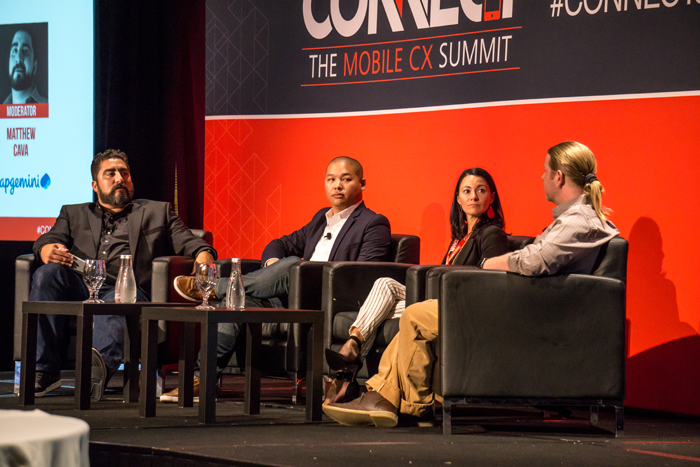 If only 1% of your traffic or potential traffic are mobile users, then you probably don’t have to freak out just yet. Although, I wouldn’t be surprised if Google eventually factors this into all search and not just mobile search. Responsive design is when your website layout changes to automatically fit into the size of a users screen. This is accomplished through the use of CSS and HTML which uses percentage based width settings instead of traditional fixed width settings. You can tell a site is responsive if you open it on a computer in full screen, then as you change the size of the browser window you will see the website changing to fit into the screen. The benefit of using a responsive design is you have one code base to manage, so if you make an update on any page of your website, it will automatically update the mobile version of the site, because it is one and the same code base. The drawback of responsive design are two issues: (1) It is usually more work, therefore more expensive, to design a site to be responsive. This might not be the case if you purchase an existing theme, but if you build a site from scratch then this is usually the case. (2) A responsive site typically loads slow on a mobile device because all of the same content which usually renders on a full size site still needs to load onto a much smaller screen. Dynamic Service, also known as Adaptive design, refers to the process of serving up a different code base at the server level, whenever a site is displayed on a different device. Unlike responsive, which kicks in once the website loads, an Adaptive site triggers at the server level once the site is requested to display. An Adaptive site usually has multiple break points, which means the site will look one way at full width, then as a user shrinks the screen size (or changes devices) the website will all of a sudden change once it hits a break point. Typically there are 5 break points (i.e. mobile vertical, mobile horizontal, tablet vertical, table horizontal and full width) but technically you can have as many as you want to fit all of the different screen sizes that exist. On the other hand, you can technically just have two break points, one for full view and one for mobile. The benefit for Adaptive design is you can completely control the look and feel of the site on different devices/screen sizes. Another benefit is load speed on mobile is usually fast since you can control what assets are served onto mobile devices. The drawback is you have a separate set of code for each break point that needs to be maintained. This means more work for setup and for long term maintenance. This is the original way of doing mobile sites, also referred to as Mdot. Similar to Dynamic Serving, the only real difference is the URL changes between the normal website for computers vs. the m.domain.com which displays for mobile devices. Today, there are a ton of third party tools that will basically scrape your normal website to help you generate a Mdot version of your site with no coding required, but you do have to pay a small monthly fee. The benefit for Mdot is the same as Adaptive in the sense that you can completely control the look and feel of the site on different devices/screen sizes. An additional drawback is the negative SEO impact in having two URLs instead of one. Today the SEO penalty is relatively small, but it is expected to grow. This is the fourth method which Google does not classify, but it does exist and in my opinion it is the best option to go with if you have the budget and resources. If not, then go with Adaptive. Using a hybrid method is exactly what it sounds like, you would still have 2 – 3 break points using Adaptive, but to ensure your site looks as nice as possible on all screen and device types you would use responsive to fill in the gaps between the break points. Basically the site would act like a normal responsive site, but as you hit different break points you would hide different elements at the server level from ever showing to optimize the site load speed and improve the overall user experience. The benefit for using a hybrid method of Adaptive and Responsive design is you can completely control the look and feel of the site on different devices/screen sizes. Another drawback is this method is typically a lot of work which means higher cost in development. Personally, I always would recommend either a hybrid method or to use adaptive because mobile site performance (site speed) is always my #1 concern. Site speed is king because it impacts SEO as well as user experience. Studies have shown that a 1 second increase in load time can equal more than a 2% drop in conversions. If you cannot afford to do Adaptive or a hybrid method, then try to use a light weight responsive theme. Worst case scenario, use a Mdot method but I really only recommend doing so as a temporary solution while you are working on or saving up for a better solution. Make sure you are prepared to address the April 21, 2015 Google Mobile-Friendly Update. I just got back from IRCE Focus in Los Angeles and sources confirm that Amazon will shut down Amazon Webstores in 2016. 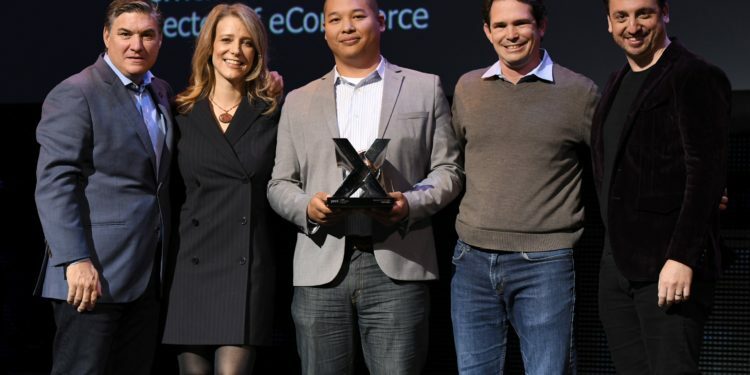 Although this will not impact Amazon at all in regards to their marketplace, it signifies that Amazon finally gave up in competing with eCommerce platform players such as Shopify and Magento. Although Amazon itself has not commented on this topic, many sellers that currently use Amazon Webstore have received notifications from Amazon, letting them know of this change in hopes that they can find a new eCommerce platform. This of course is going to open up opportunity for other eCommerce platforms, but which platform will benefit the most is still to be determined. 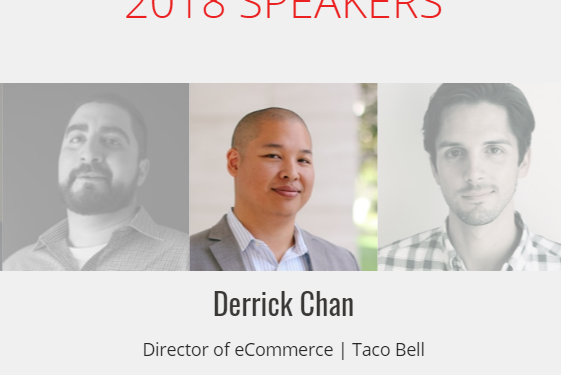 This event reminds me a lot of last summer when eBay announced the shut down of Magento Go. 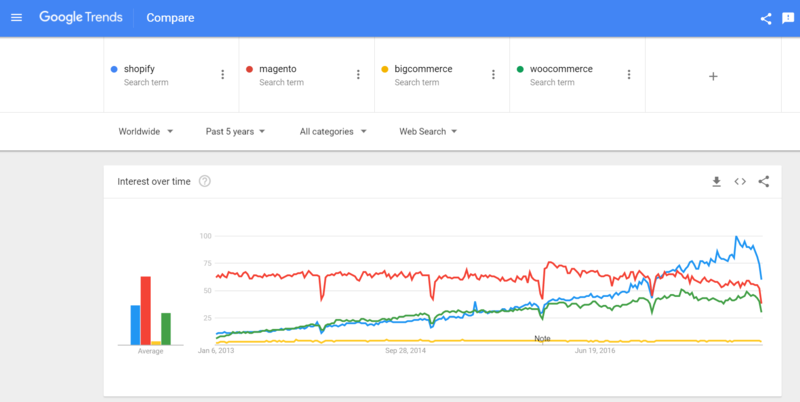 Both Magento Go and Amazon Webstore targets small to medium size businesses that didn’t want the large investment into a self hosted eCommerce platform. Therefore, the most obvious eCommerce platforms that will absorb Amazon Webstore clients is probably Shopify and Bigcommerce. However, personally I think that any platform that already has a strong integration with the Amazon marketplaces is going to have a huge advantage. For example, Volusion comes out of the box with a feed that is built into Amazon. Also, Magento with M2E is a great solution since sellers will be able to manage their product inventory from one platform and still push product to Amazon, without having to pay for a 3rd party Channel Management System such as ChannelAdvisor, Mercent or Solidcommerce. Although Amazon won’t admit the reason for this decision, I believe they finally realized they cannot compete in the eCommerce platform arena because today they account for less than 2% of all eCommerce websites. It also doesn’t help that their eCommerce platform was seriously lacking basic features like email marketing, loyalty programs and basic SEO control. The worst part of Amazon Webstore is the fact that Amazon analyzes your websites sales and if your products sell well, they will poach your manufacturer and buy your product directly to sell on their marketplace, which basically takes your business out of the equation. 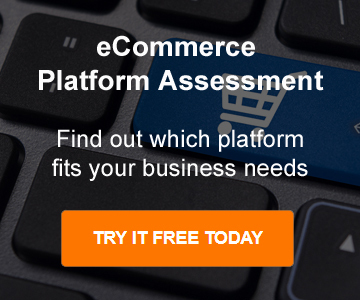 Need help picking a new eCommerce platform? If you need to move off of Amazon Webstore and you need help picking a new eCommerce platform, let me know and I can work with you to help you pick the right platform for your business.